perfectly protects your devices from charging accident. HTC phones, tablet PCs, game consoles and MP3/MP4 players, etc. 1. Do not use an unqualified adapter to charge this power bank. 2. Do not charge it in a wet environment, because it maybe cause a power short-circuit. 3. In order to cooling of this power bank, do not cover or package this power bank with paper or other items during charging. For more usage information, please refer to the user guide. This power bank is certified by QC 3.0, CE, RoHS,LCS. Give you the best guarantee. 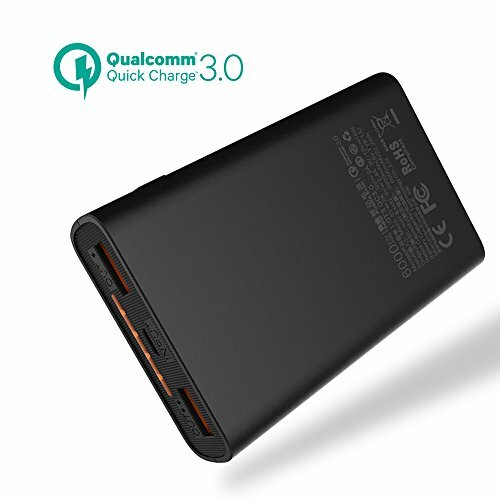 Super-fast QC 3.0 quick charge output. What You Get: MEIYI PowerCore 6000 Portable Charger,user manual and friendly customer service. If you have any questions about this product by meiyi, contact us by completing and submitting the form below. If you are looking for a specif part number, please include it with your message.